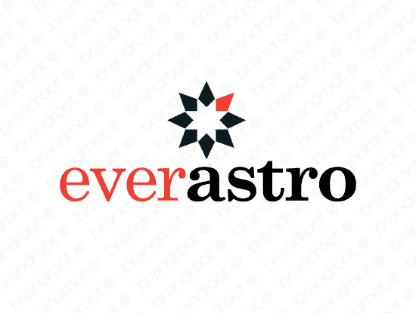 Brand everastro is for sale on Brandroot.com! This evocative blend of "ever" and "astro" is an enduring name that reaches for the stars. Everastro has a great aspirational and optimistic tone that works well for entertainment and media businesses or innovative marketing agencies. You will have full ownership and rights to Everastro.com. One of our professional Brandroot representatives will contact you and walk you through the entire transfer process.